This morning was rather busy ringing, once again comprising mostly of Goldcrests, Blackbirds and Dunnocks. With a majority of them in their second year, it seems that female Goldcrests arrivals are slowly increasing. 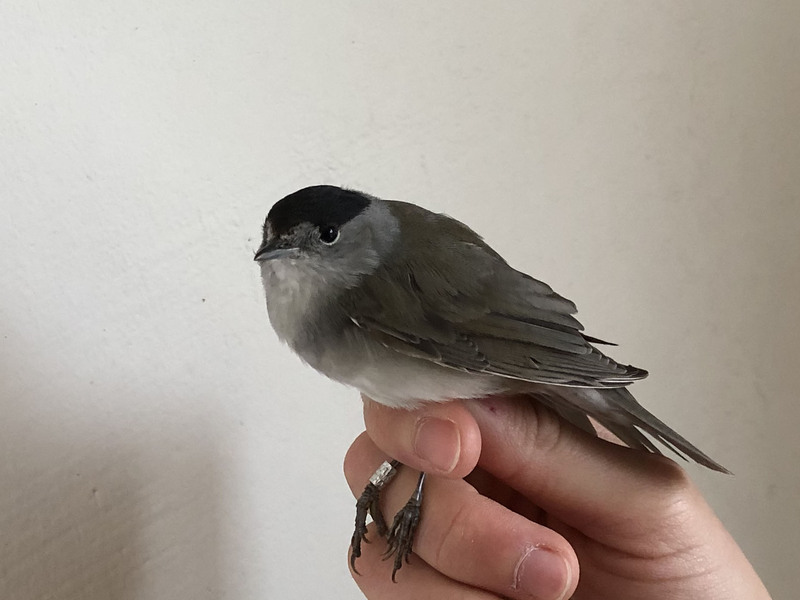 Besides these, two male Blackcaps were amongst the earliest birds, both in good condition and interesting to have had - they usually do not arrive before April. Also in migration mode were the second Eurasian Treecreeper and the fifth Firecrest (male) ringed this season. After the intially busy hours, Bent pressed on with some birding, sighting 3 Red-throated Divers (Rødstrubet Lom), c.400 Sanderlings (Sandløber), plenty of gulls and even a Woodlark (Hedelærke) migrating over the beach. My evening walk was lovely with Stonechat (Sortstrubet Bynkefugl), Meadow Pipit (Engpiber), Skylark (Sanglærke) and Yellowhammer (Gulspurv) calls. The few ponds in the dune area were also emitting 'calls', from numerous toads whose surface activity was noticed earlier by Bent.